Liberal’s volleyball team went 5-0 to win their home tournament at the Big House Saturday. They did not lose a set. 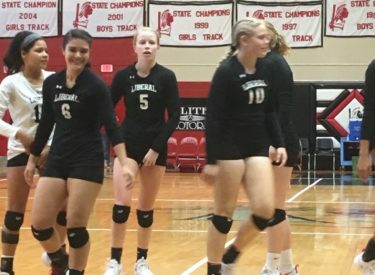 Liberal began the day by defeating Southwestern Heights 25-12, 25-6. Liberal beat Meade 25-18, 26-24. The Redskins downed Wichita Southeast 25-19, 25-22. Liberal moved to bracket play and beat Dodge City 25-16, 25-23. LHS beat Colby in the championship 25-18, 25-14. Statistically, Machia Mullens had 27 kills and nine blocks and was named to the all tournament team. Aubrey Warden had 25 kills and Whitney Hay added 21. 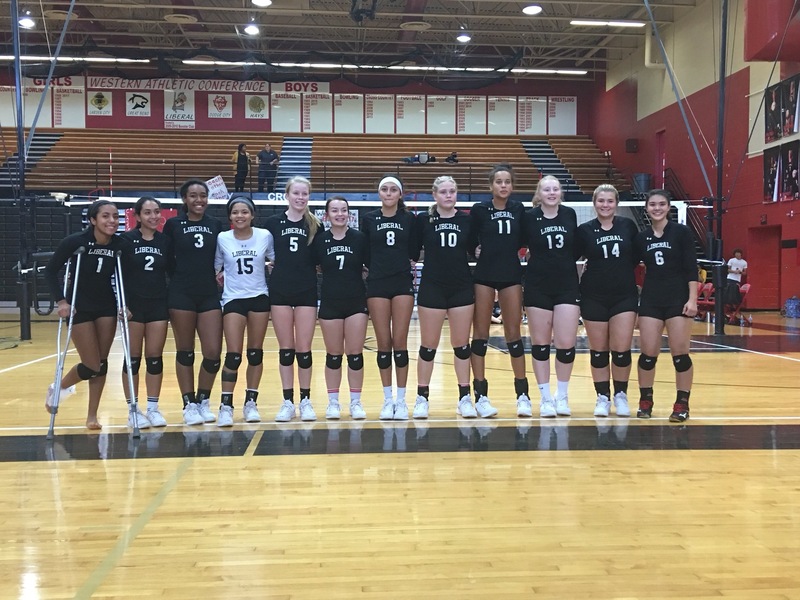 Haylee Parker had 57 digs while Alexia Torres added 38 and Whitney Hay added 27. Kaeleah Chaloupek had 12 aces and 11 by Kenzie Kapp. Liberal’s serve receive was stellar as Haylee Parker passed at a 2.67 clip followed by Katiara Polvon and Whitney Hay at 2.58. LHS is 11-9 and hosts Pampa Saturday.